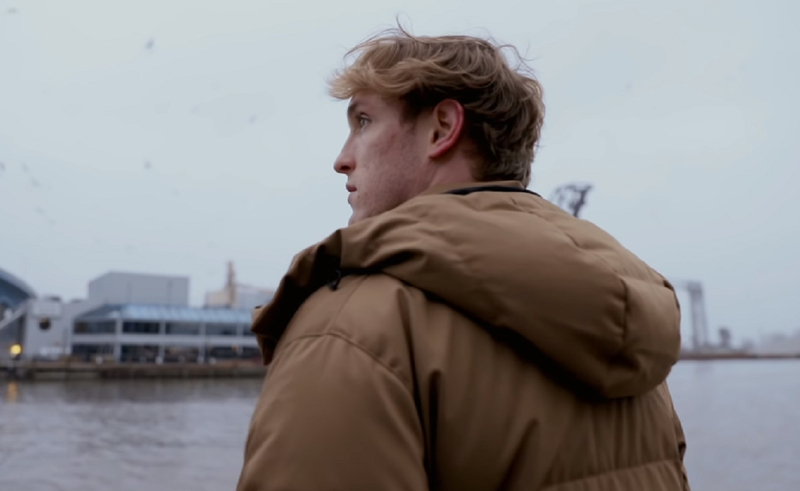 Famous and infamous YouTuber Logan Paul has released his 2018 wrap-up video, looking back on his controversial behavior in a year he says was the “most important” of his life. In the 15-minute upload (which has netted 3.2 million views in the day since it was posted), Paul reflects on the infamous January incident where he posted a vlog filmed in Japan’s “suicide forest” that contained footage of the body of an apparent suicide victim. The video received major backlash, getting him cut from Google Preferred and leading YouTube to cancel the sequel film to his YouTube Premium movie The Thinning (although it was announced in October that YouTube ultimately decided to move forward with the release of the project). “It was the perfect storm of circumstance, ignorance, ego, and downright stupidity,” Logan says. It’s worth noting that in both his previous wrap-up videos, for 2016 and 2017, he dubbed each year the best of his life — something he noted at the beginning of this year’s video, before inviting viewers to listen to his side of “what the f-ck happened” in 2018. And what happened in Japan was a long time coming, he adds, explaining that after he became a star on the now-shuttered shortform video app Vine, he wanted to crash into YouTube with content that was as boisterous and attention-grabbing as possible. And no matter how out of control things were getting, so long as nobody was trying to stop him, he wasn’t concerned about consequences of his actions, he says. 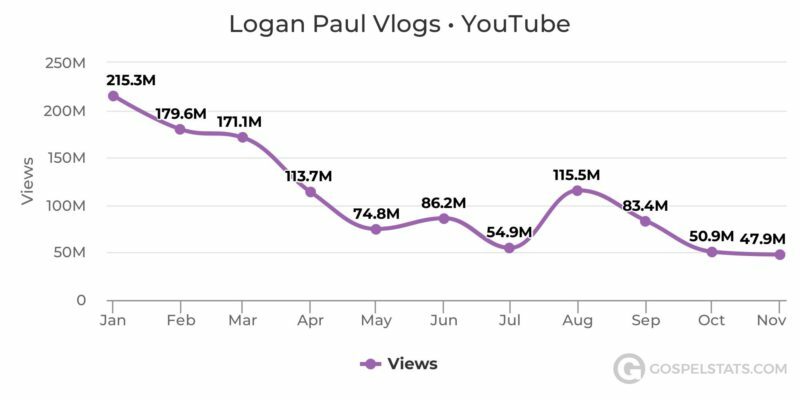 This year has been an evident blow to Logan’s channel. 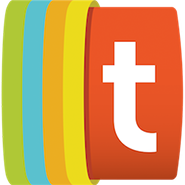 His viewership has dipped from his estimated five to seven million views per day to between one and 3 million views per day. You can see how that played out in the monthly views chart below. So, what changed his attitude from defiant doubling-down to the surprisingly thoughtful, apologetic tone he exhibits in his admittedly well-scripted and well-edited wrap-up? The “blessing in disguise” that was his much-hyped boxing match against fellow YouTuber KSI. The two duked it out in a six-round fight in August, ending in a draw and netting themselves potentially millions in revenue. In the months prior to what they called the “YouTube World Championship,” Logan put his focus into training four hours a day instead of focusing on YouTube, something he says changed his outlook. He adds that shifted focus is what he wants to take forward into 2019, for which he already has a number of projects lined up. He’ll debut a documentary about the flat Earth conspiracy theory in January, will release a series about himself and his best friend Evan Eckenrode, is working on an animated show about his life, and will drop more episodes of his recently-begun podcast Impaulsive.